In 2005 the Law Society of Northern Ireland introduced the Continuing Professional Development Scheme. Initially the Scheme applied to those solicitors in their first 10 years of practice. Shortly afterwards the Scheme was extended to cover the entire profession. The aim of the Scheme was, and still is, to ensure that members keep up to date with current developments so that the profession continues to operate to the highest possible standards and to ensure that clients are given the best possible service. As you will be aware from 1 January 2017 all Principals, Consultants and Assistants in private practice (PPC, PPP and PPAs) are required to complete 2 hours of Compulsory Risk Management CPD. 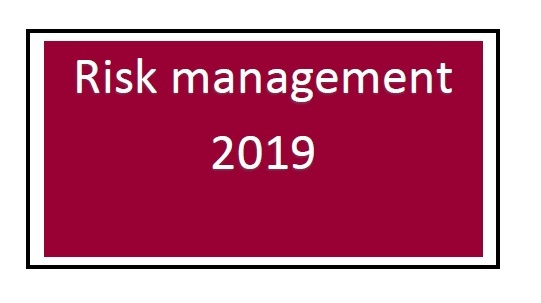 The Society has designed a bespoke Law Society of Northern Ireland 2 hour module on Risk Management for which there is a reduced charge of £30.00. This module will cover three key areas and will not only be rolled out across Northern Ireland but will also be available in the alternate as a webinar, at a cost of £30. Details of the webinar will follow and it is anticipated that the webinar will go live in May 2019. 3. Managing in house client complaints effectively. · The requirement to complete the 2 hours’ Risk Management CPD is in addition to the requirement to complete 3 hours of Client Care and Practice Management. · There is no increase in the overall total of required CPD hours per year. · A bespoke 2 hour Law Society module costing £30 will cover the required topics. It will be delivered in a number of venues and will also be available as an alternative by way of webinar. · Members may fulfil this requirement by attending other risk management courses which cover each of the three topics and must be in a position to provide evidence of their attendance at such other courses, to satisfy the Society of their compliance, in accordance with the Society’s normal procedure. · If members access the Risk Management webinar, it will count as part of the Private Study Requirement. · If members attend in person it will count as 2 hours of General Group Study. 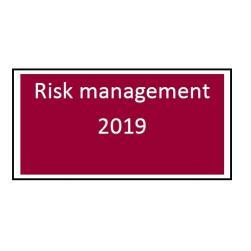 · The Exemptions numbered 1-7 in the CPD Record Card do not apply to those required to complete Compulsory Risk Management CPD namely, Principals. Consultants and Assistant Solicitors in private practice. · You are reminded that CPD Compliance is a regulatory requirement and that the Society will take into account your CPD compliance when exercising its wider regulatory functions.